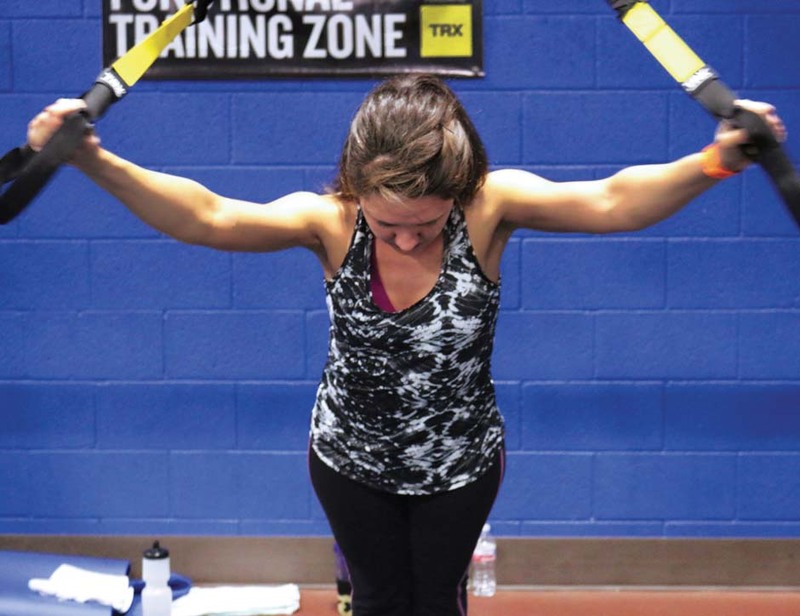 OCCC students that want a total workout that improves many aspects of their bodies might want to try the TRX classes offered in the Recreation and Fitness department, said TRX instructor Gary Lombard. The TRX classes have widespread popularity across campus, with many of the classes totally full by the time they start, and Lombard knows why. “It’s because of the results people are getting. I like for people to think about the goals they’re trying to accomplish. Then, I can get them to doing the things that will help them accomplish those goals,” he said. TRX, which is a relatively new exercise class at OCCC, is used across many different platforms by athletes. “TRX is exercise that is designed by the Navy SEALs. It’s all core, all the time. It’s strength training and cardio training all at once. Now, Navy SEALs, Green Barette, Delta Force, Army Rangers, they all use it. NFL, NHL, NBA, MLB, all use it because of the functional strength,” Lombard said. Wellness Center Manager Brooke Dresel in a previous interview described the wourkout. “You use bands that are suspended from the wall to hold onto the handle from the other side. You use your body as the resistance, so it’s basically body weight,” Dresel said. Lombard said quick results are one of the many benefits of trying out the class, regardless of a student’s experience in working out. Lombard thinks the class is a great introduction to fitness for students who aren’t working out.